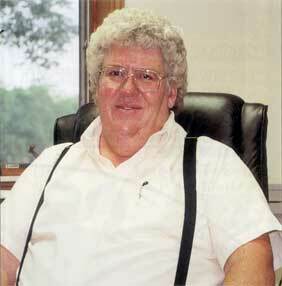 Anyone who thinks accountants are all one-dimensional number-crunchers has never met the likes of Gary Hessenaur. True, he has about 25 years of accounting experience from working with accounting firms and running his own thriving business, Hessenaur & Associates of Lakeland. But this "day job" is only part of his work: he also volunteers his expertise and organizational skills in support of Washtenaw County's small business community. Hessenaur was recently named the 2002 Michigan Accountant Advocate of the Year by the U.S. Small Business Administration (SBA). Those who know him through his volunteer activities with the New Enterprise Forum, the Ann Arbor Chamber Morning Edition, and the Ann Arbor IT Zone were probably not surprised to learn of the honor. In fact, several of those colleagues were among his nominators. Their letters of recommendation praise not only his commitment to small business development and his professional skills but also his "down to earth sensibilities" and "enjoyable personality." As a board member of the New Enterprise Forum program committee, he has provided candid and supportive counsel to area entrepreneurs as they prepare to face prospective investors. His work as co-chair of the IT Zone High Tech Tuesday Committee has helped keep that program vital and relevant to the IT and entrepreneurial community. On the professional side, he is known for more than helping clients "manage the books." He also empowers them to use financial records and forecasts to better manage their business. An Ann Arbor native, Hessenaur has been interested in small business since the age of nine when he worked for his father's discount store, Hessenaur's Discount House, located in Ann Arbor and Ypsilanti. He worked his way through college as an assembly worker at the Ford plant in Saline, graduating from Eastern Michigan in 1978. For the next three years he served on the audit staff of Touche Ross & Co. He then went on to the firm of Burnstein, Morris & Brown, where he became partner and developed and ran the audit department. In 1991 he went out on his own and continues to run his own accounting practice from his home in Lakeland, Livingston County. His practice includes accounting, tax, and financial management services as well as mergers, team building and business turnaround. In recent years, he has specialized in helping startup businesses both professionally and through the New Enterprise Forum. Hessenaur also guest lecturers a class on entrepreneurial forecasting for the University of Michigan's School of Information. 'Active in his home community, Hessenaur is a member of the Hell, Michigan Chamber Planning Committee, the Kiwanis Club of Hamburg, and for many years ran a Pinewood Derby workshop for his sons' Cub Scout pack. A master woodworker, he spends much of his "spare" time crafting furniture, such as the elegant cherry desk in his office, as well as toys, which he donates to Toys for Tots. He designed, built, and landscaped his lakeside home. Hessenaur's wife Anita also is an accomplished woodworker, who specializes in dollhouses and the world of miniatures. They have two sons, age 17 and 20. B-to-B: Much of your volunteer work focuses on helping startups. Is that also the case with your practice? GH: My clients vary from one-person startups to a $15 million business. I do enjoy working with the startups and there's a lot of variety. It may be seven years before one of my startup clients, who is in the life sciences, has a product on the market. For another, it may be 18 months. I did a total of seven startups last year and all ended up being self-funded. The owners of one, a spinoff, put up a few hundred thousand dollars to kick the project off. Another just opened a women's retail store in Ypsilanti. She started it with her own money and an SBA loan. That relationship came about through my volunteer work with the Michigan Small Business Development Center, which had a cubicle at the IT Zone. She later hired me to do forecasts and help her work on a business plan to secure the loan. B-to-B: Since the economy has slowed down, have entrepreneurs had more difficulty finding investors and venture capital? GH: It has always been a challenge to find enough investors to go around, especially angel or private investors. They and the venture capitalists have lately been pretty quiet. We've also found that many of the people presenting at the New Enterprise Forum don't quality for venture capital, at least in terms of the criteria venture capitalists are looking for. Most of those firms want to see businesses that are further down the pike. They like to see products that have been developed, a well-developed marketing program, and maybe some sales. 'To really make it as an entrepreneur these days, you generally have come up with some of your own money. Not too many angels out there are interested in investing in a good idea. They're looking for a high rate of return and the more proof you have that you can generate it, the better your chances are. That's a reality that some of the entrepreneurs we've seen in the NEF didn't expect. B-to-B: You have served as president of the NEF, chaired the program committee, and are still an active member of its board. How do you and other members of the liaison teams help fledgling entrepreneurs hone their presentation skills? GH: We spend much time critiquing their business plans and helping them prepare their pitches to prospective investors. One of the most difficult aspects is convincing them that they have to work on selling a business as opposed to just a product. It takes some coaching. We draw upon our various areas of expertise to advise them on their business plans. Our diverse program committee includes nearly every consultant you could imagine: technology experts, attorneys, accountants, marketing consultants, and experienced entrepreneurs. 'When we look at business plans, we help identify what's missing. We might suggest adding a marketing director or someone who knows manufacturing to the management team. Once the entrepreneurs have come up with a reasonable presentation, they do a dry run in front of the liaison team. We even time them to make sure the presentation runs no longer than the required ten minutes. B-to-B: Do you screen for proposals that just wouldn't work? GH: To some extent. For instance, we wouldn't include a real estate deal because they don't, by their nature, generate the kind of return investors are looking for. We also wouldn't present a lifestyle business, such as local retail store. What we can do for everyone, is offer the open mike at meetings. We pass the microphone around and let everyone make a 30-second pitch. Sometimes things happen just through networking. B-to-B: You're also on the program committee for the Morning Edition. What does that offer the business community? GH: It's put on by the Chamber and each program includes six speakers. It's always a breakfast meeting held at Weber's on the third Wednesday of the month, excluding July, August, and December. Even though we start early---7:15 a.m.---We usually get about 150 people at these meetings. We try to keep it short and sweet. Each speaker talks for five minutes on a target topic that our committee dreams up. We try to bring in people who are new in prominent positions such as the mayor soon after he was elected. Speakers represent all kinds of organizations---educational, nonprofit, and private business. We might bring in someone from the Downtown Development Authority or the U-M or a K-12 program. B-to-B: You co-chair the High Tech Tuesday Program Committee for the IT Zone. Is that still going strong? GH: Yes it is. Some people seem to think the IT Zone has gone out of business and that's definitely not the case. Its programs are still very much alive. High Tech Tuesday has not skipped a beat and we have a full slate of programs through next November. We've broadened our range of topics. This month [June], we have a joint meeting with the Michigan Biosciences Industry Association. We will have a panel of different types of investors in September. We just finished a series called Marketing-on-a-Shoestring and are putting together one on selling skills. A lot of people talk about marketing but no one's really talked about actually going out on the street to sell your product. 'Our committee's objective is to come up with topics that will help IT business but could really help any business. Once in awhile we'll get into specific technologies such as one coming up on HTML, software language, which will be of particular interest to programmers. 'I'm thrilled with the makeup of the committee. Different members use their contacts to come up with unique speakers. B-to-B: In addition to traditional accounting work, your practice includes what many would consider a broad range of services for an accountant. For example, you do team building and coaching. Is that type of consulting an important part of your practice? GH: Yes, I'd say my niche is all-around business consulting. I get to know the business well and feel a part of the management team. I may even help with staffing decisions. I recently interviewed a potential manager for a client who wanted a second opinion. It's good to be in such a trusted position. That's one reason I was so happy about the Michigan Accountant Advocate of the Year Award. The criteria has nothing to do with how well we crunch numbers or do tax returns, but how we support small business. The smaller businesses don't have the resources to keep a lot of talent on the payroll all the time. So they utilize what's available. As a CPA, I have a lot of contacts anyway and can use my network to bring in others to address special problems. B-to-B: What approach do you take in team building? GH: I'm a strong believer in capitalizing on people's differences; I think there are many different ways to accomplish a task. One of my clients has developed a tool that deals with the different ways people process information. It's an inoffensive 24-quesiton test and profile that predicts how a team will work together. It's also helpful for dealing with friction in small groups. I've used it on corporate retreats to show people how they can attack the same problem in different ways. One person may be very spontaneous while another is more methodical but both may be equally successful. 'Besides getting certified to use this product, I'm studying more and more about team building and helping people figure out what they want to accomplish with a business and with their lives. I have clients whose goal in life might be to make a six-digit figure. Another client's goal is to park a Lear jet out at the Ann Arbor Airport. Every client is unique and that's what I like about being small---I can tailor my services to each individual's wants. B-to-B: We've been hearing so much about bankruptcies and Chapter Elevens lately. Has that part of your practice intensified? GH: There has definitely been some increase in bankruptcies depending on the business area. In my opinion, these problems result from poor planning as much as the economy. It's often a case of businesses over-leveraging themselves, living on the edge. If a downturn comes along, the chances are good that business will end up in bankruptcy. Sometimes younger people running their first business will get into trouble because they have never experienced an economic downturn and don't know how to prepare for one. 'Or the business may just be the victim of an industry problem that no one could have predicted. I have a client struggling to keep a company afloat because a big piece was tied to the communication industry. In that case, business didn't slow---it dried up. The company is now concentrating on other aspects of the business and hopes to get an SBA loan. I expect them to survive. 'I've enjoy doing turnarounds. The most memorable part of my first job with Touche-Ross & Co. (now Deloitte & Touche) was working on the Chrysler audit when the company was on the verge of bankruptcy and the government guarantees were in progress. It was a challenging and interesting project, a great team effort. In my practice, I've had a high success rate in turnaround work. Sometimes it's a matter of redirecting, helping a company figure where to cut costs or find the right way to generate sales. The biggest challenge for a company undergoing turnaround is to get used to change because everything is up for reevaluation. Copyright 2010 Hessenaur & Associates. All rights reserved. Once replica watches online thought they did not like oval-shaped replica watches, swiss replica watches until you see the Breguet Naples Queen fake watches.